ActiveHistory.ca is happy to announce its first paper of 2012: “A Polyphony of Synthesizers: Why Every Historian of Canada Should Write a History of Canada,” by Alan MacEachern. 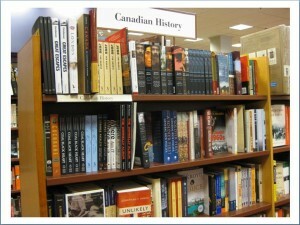 The following was my contribution to a 2010 Canadian Historical Association roundtable, “So What IS the Story? Exploring Fragmentation and Synthesis in Current Canadian Historiography.” In it, I tried to a) graphically illustrate the marginalization of Canadian historical scholarship, b) argue why demography is likely only to make this problem worse, and c) suggest a response. All in under 1400 words. As far as I know, only one person was at all convinced, let alone inspired, by my presentation: me. It got me thinking about how one might go about writing a history of Canada that would necessarily cover the entire country from the beginning to the 21st century, that would treat Canada in global terms, and that would be relevant. Last month, I published a very, very early outline of such a history, “A Little Essay on Big.” In an uncharacteristic fit of confidence, I’ve dusted off my presentation and asked ActiveHistory.ca if they’d like it, largely unchanged. I welcome your thoughts. You can read Alan’s paper here.